On this day in history, January 24, 1781, "Light-Horse Harry" Lee and Francis Marion attack Georgetown, South Carolina. Georgetown was a Loyalist stronghold protected by 300 British troops led by Lt. Col. George Campbell. 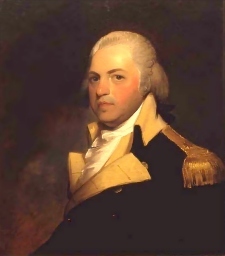 "Light-Horse Harry" Lee, whose real name was Henry Lee III, was a Virginia lawyer who became famous for commanding light troops on horseback during the American Revolution, hence the name, "Light-Horse Harry." Henry's second-cousin, Richard Henry Lee, was a signer of the Declaration of Independence. Henry was also distantly related to Thomas Jefferson through his great-grandmother. After the war, Henry served as a delegate to the Confederation Congress for two years. He served in the Virginia Assembly for two years and became the 9th governor of Virginia. Lee led the 13,000 man army that suppressed the Whiskey Rebellion in 1794. He served as a representative to Congress for two years and delivered the eulogy at George Washington's funeral on December 26, 1799, making the now famous statement, "He was first in war, first in peace, and first in the hearts of his countrymen." Henry was also the father of Civil War Confederate General Robert E. Lee. 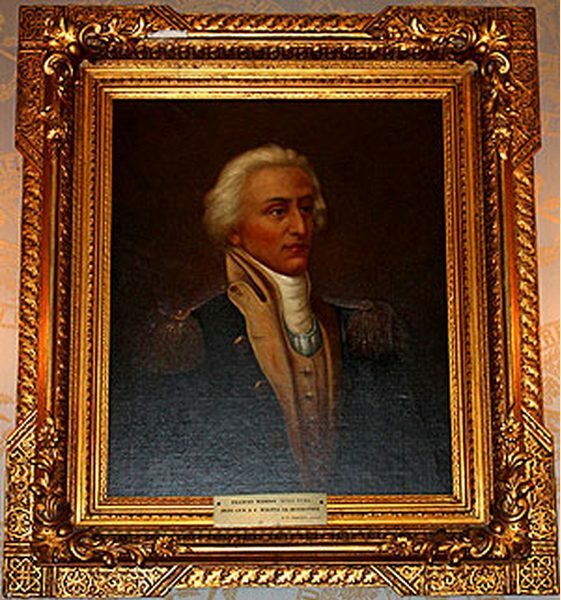 Francis Marion, called the "Swamp Fox," was a South Carolina planter who became famous for his guerrilla tactics against British troops during their Southern campaign. Marion led a group of South Carolina militia that would hide in the swamps, come out and attack unsuspecting British troops and Loyalist supporters and then melt back into the swamps. Marion became so hated by the British that his capture or death became a chief goal of Lt. Gen. Charles Cornwallis, the British army leader in the South. Marion served in the South Carolina Assembly and was promoted to Brigadier General during the war. On January 24, 1781, Lee and Marion led an attack on Georgetown, South Carolina. The plan was to attack the riverside town from two directions. One group attacked from an island in the river, where they had hidden the night before. Lee's cavalry was then to attack from the land and meet the ground troops in the town. The town had a small fort, but was weakly fortified. When the attack began, the ground soldiers coming from the river quickly captured Lt. Col. Campbell, the garrison's leader. The Americans were surprised when there was little resistance from the British soldiers and the Loyalists all went into their homes and stayed put. The soldiers could have taken the fort and captured several cannon held there, but Lee's cavalry was late. Eventually they decided to leave and give up the few captives they held because they were wary of the losses they would take if they tried to take the fort. Lee's troops did arrive, but it was too late and the mission to take the town failed. The British used the incident to sack Lt. Col. Campbell who was disliked by his own troops (probably the reason they refused to defend him at the battle). Lee and Marion would go on and have numerous victories through the rest of the year, capturing British forts across the region and breaking down British communication between North and South Carolina permanently. Learn more about Light Horse Harry Lee here.